In 1993, Stanley Goldstein, founder and former CEO of CVS Pharmacy, asked Doctors Dennis Littky and Elliot Washor, principal and assistant principal respectively of the award-winning Thayer High School in New Hampshire, to come to Rhode Island to help improve education in the state. A few months later, Theodore Sizer, chairman of the Coalition of Essential Schools at Brown University in Providence, invited Littky and Washor to be the first Senior Fellows at the newly formed Annenberg Institute for School Reform. As co-directors, Littky and Washor merged their national reputations for successful educational innovation with a staff of creative and passionate reformers, and a Board of Directors that included both national education leaders and prominent Rhode Island business professionals. 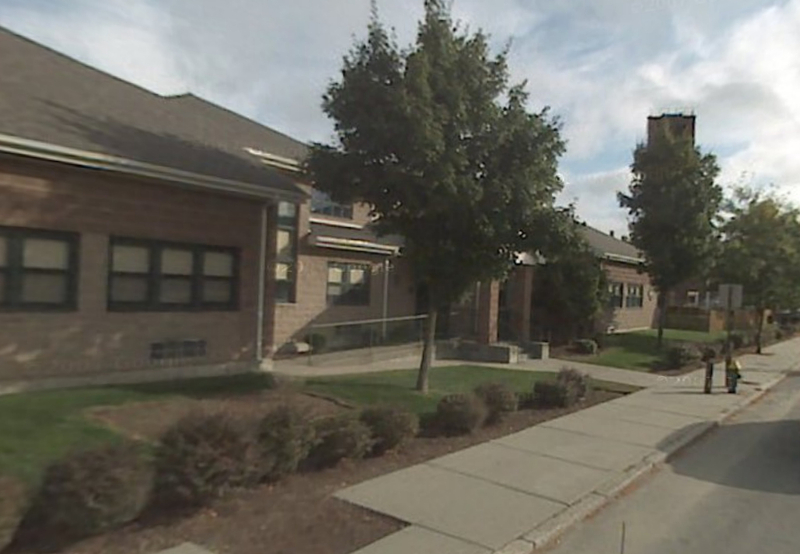 The total project was a public/private partnership of the RI Department of Employment and Training’s Human Resources Investment Council (RIDE), The Annenberg Institute, the CVS Corporation (then the Melville Corporation), and The Big Picture Company, a non-profit Littky and Washor formed to start the school. Given the rare opportunity to start a school from scratch, Littky and Washor built the school around the question “What’s best for kids?”. They used some of the most mainstream ideas and widely accepted theories. Education research tells us schools need to be smaller, with more parent involvement and more personalized curricula. Brain research shows people learn by making sense of information, by connecting things, and by learning in a real context. Learning theory asserts the value of hands-on experiences. Developmental psychology says kids are fragile and must be nurtured by adult mentors to thrive. Gang research tells us young people need to feel a part of a culture, something larger than themselves. The Met incorporated all of these notions and opened its doors in the fall of 1996 with 50 freshmen in the Shepard Building in downtown Providence. The school would become Littky and Washor’s platform for promoting radical change in American education. In 1999, Tom Vander Ark, Education Director of The Bill & Melinda Gates Foundation, visited The Met and awarded Littky and Washor $4 million to create 12 Met schools nationally. Gates subsequently awarded the organization another grant to start a total of 54 Met schools. 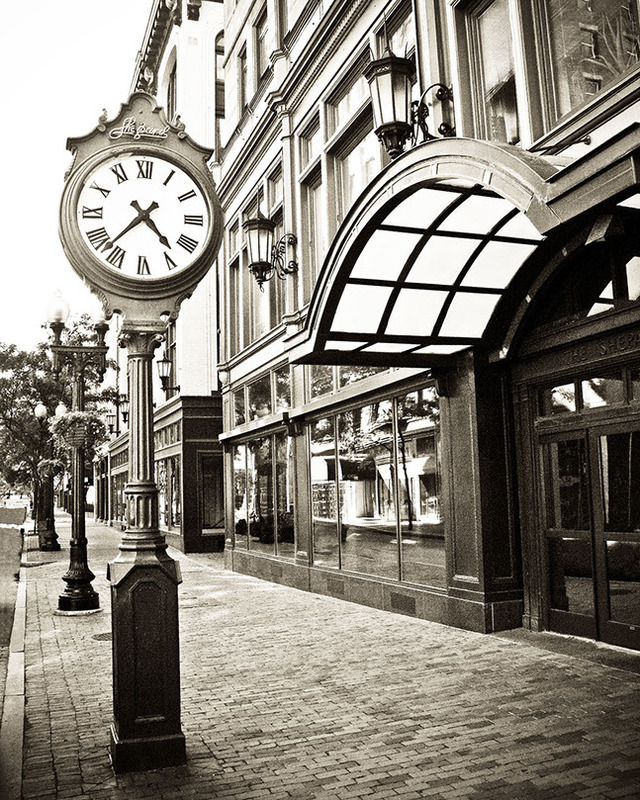 In 2000, The Met expanded from its downtown location in the state-owned Shepard Building to a new facility on Peace Street in the West End of Providence. Two years later, The Met opened a brand-new central campus made up by four small schools in the heart of Providence’s poorest neighborhood, the South Side. With the original state bond issue, The Met finally built its long-awaited campus that includes a fitness center, a performance space, a culinary kitchen, health center, and a state-of-the-art technology center. 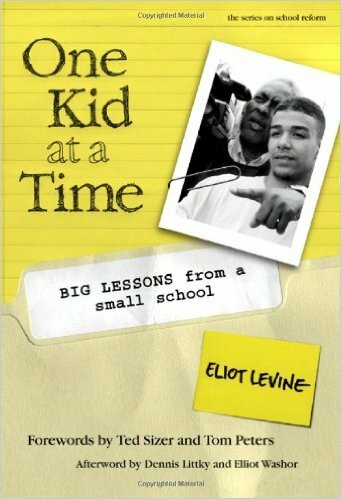 In 2002, Harvard researcher Eliot Levine published his post-doctoral thesis on The Met, One Kid at a Time: Big Lessons from a Small School (Teachers College Press). After its publication, he applied for and accepted a position as a Met advisor. 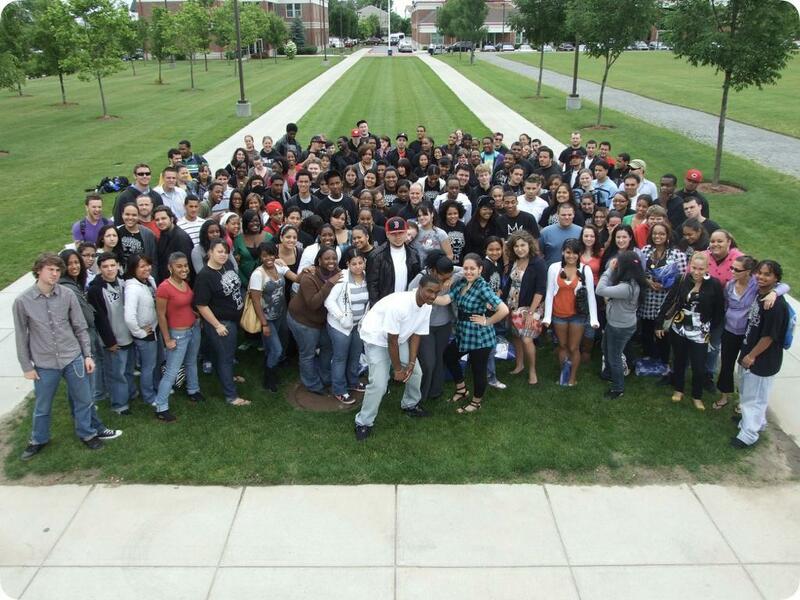 In 2003, The Gates Foundation awarded a $1.9 million grant to The Big Picture Company to spearhead the Alternative High School Initiative, a group of six youth development organizations that will generate and sustain a total of 122 schools over five years. Also in 2003, the Rhode Island Board of Regents issued new high school regulations declaring that by the spring of 2004 every public high school in the state would submit a plan to enact these policies. These new requirements come straight from The Met’s design and include an advisory system, internships, individual learning plans, senior exhibitions, and portfolios. In the fall of 2004, The Big Picture: Education is Everyone’s Business (by Dennis Littky with Samantha Grabelle) was published by the Association for Supervision and Curriculum Development (ASCD). The book was selected as ASCD’s “September book” and distributed to all members of ASCD, approximately 96,000 educators nationally and internationally. 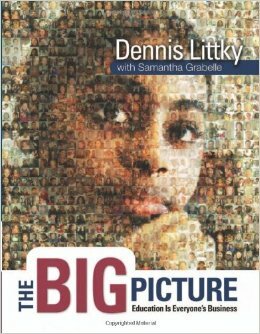 In June, The Big Picture won the 2005 Distinguished Achievement Award for Whole Publication, Adult Non-Fiction from the Association of Educational Publishers (AEP). The book helped push The Met into the press limelight, and during the 2004-2005 school year, national and international press picked up the story with features in The London Times, The London Telegraph, The Sydney Morning Herald, the Irish Independent, the Los Angeles Times, NPR, BBC, and Newsweek. 1,100 site visitors came to The Met from all over the United States, Australia, the Netherlands, Israel, the United Kingdom, and Iceland. In spring of 2005, The Met was announced as one of 18 finalists for the prestigious Harvard Ash Institute’s “Innovations in Government” Awards (the “Oscars of government”). In the fall of 2005, The Met entered its tenth year of operation, having finally reached full capacity with just over 700 students. That November, The Met was named as one of only 14 Regents’ Commended high schools in Rhode Island as a result of its students’ improvement on the state standardized testing. In 2007, the East Bay Met School was established in the Tonomy Hill, now Newport Heights, section of Newport in The Florence Gray Center. This school, later to be renamed the Paul W. Crowley East Bay Met, was established to serve students in the coastal sections of Rhode Island and increased the Met’s capacity to just over 875 students. A new campus was constructed on land adjacent to the Florence Gray Center in 2013 with a focus on the environment and sustainability. The Paul W. Crowley East Bay Met was awarded the US Department of Education Green Ribbon Award in 2015 for efforts to reduce environmental impact and utility costs, promote better health, and ensure effective environmental education. In 2013 the Met was featured in the Book Learning a Living published by the World Innovation Summit for Education. The case studies in this book are from diverse societies and economies that all promote social values, adaptability, and enterprise. The Met was the only high school, and one of only two programs to be featured from the United States. 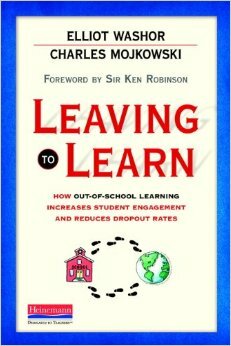 Also in 2013, Met Co-founder Elliot Washor and Charles Mojkowski wrote Leaving to Learn published by Heinemann. The Met is featured as an example of how when students leave the school building to pursue learning opportunities in real-world settings, and these experiences are then blended with their in-school learning, the results are life-changing. The book and engaging series of web videos have been used by educators around the globe to help keep students in school and engaged as productive learners through to graduation. Schools are using the Met’s education design to combine academic learning with experiential learning, allowing students to bring real-world learning back into the school, where it is recognized, assessed, and awarded academic credit. In 2015 the Met celebrated its 20th year of educating one student at a time. The Met design had been scaled up to a network of more than 65 Big Picture schools across 16 states, and more than 80 schools internationally.